It’s that time of year once again, with the summer months behind us and Thanksgiving leftovers all gone. 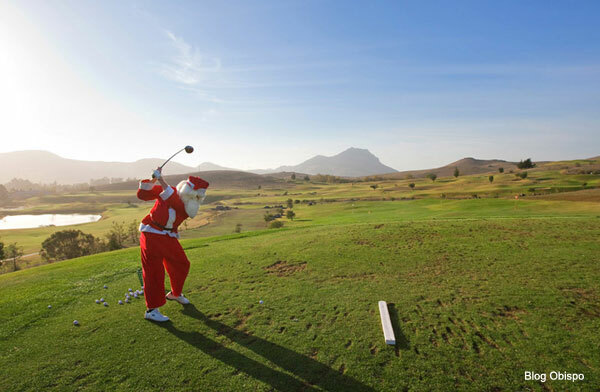 But what should the golfer out there ask for from Santa this year? Here’s a few recommendations and thoughts as we turn up the lights on the Christmas tree and crank up “Jingle Bells” on the radio. GOLF LESSONS Oh come on – you KNEW this one would be my first choice! Nothing says “I love you” and “Your game needs serious help” like some golf lessons. Put a few dollars into helping that golfer in your life get rid of some of the frustration the game can create and help them improve this year. Think of it this way: they will take less strokes so they should be home earlier from the golf course now! FRESH ACCESSORIES Lots of rounds of golf and the summer heat can wreak havoc on the essential tools in a golfer’s bag, such as balls, gloves, towels, tees, ball markers, and the ever-important sun screen. How about a care package that gives them a fresh start in their golf bag this coming golf season? Come on over to Night Hawk and we can get you set up with a nice mix of the best brands out there. A fresh glove, some new balls, and a clean towel can give a golfer hope this Christmas! MONTHLY TIPS A great gift that always seems to create anticipation in an avid golfer is a subscription to a golf publication like Golf Digest or Golf Magazine. It’s easy, inexpensive, and helps give them their golf fix at home, even when there might be cold temperatures outside or snow on the ground. Just make sure to tell them that the tip on page 37 isn’t going to help them hit it 300 yards! LOOK THE PART It’s true that many golfers out there can’t hit the ball 300 yards or shoot 68, but they can LOOK like the guys who do! Buy that special someone a new golf outfit, complete with matching shoes. If you feel good about yourself, you play better, so why not give it a try? The golf apparel market is crowded, but has a ton of great styles in it these days. If you’re buying for a slim person, check out Under Armour, Nike, or Puma, which have more “slim fit” styles that look great on the skinny guys. If your guy is bigger or taller, check out FootJoy or Cutter & Buck, which offer better “cuts” of shirts and pants that look much better. In terms of ladies’ apparel, Under Armour is again strong, along with Cutter & Buck. CLUB FITTING How about treating your golfer to a professional club fitting? 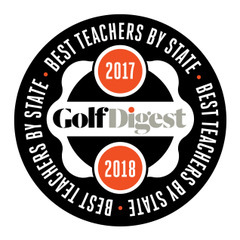 In 2015, Night Hawk Golf Center was named one of the Golf Digest “Top 100 Fitters in America”, so there is no better place around to come out and get fit. Even if they aren’t buying clubs, a golfer can get all of his or her equipment evaluated and see if they are getting maximum forgiveness out of their bag. It’s incredible how many players are hitting clubs that they just pick up off of the rack. As I have mentioned before, grabbing a club off of the rack without a fitting is like grabbing the first pair of pants at the store that you see without looking at size – crazy! A fitting session is affordable and fun for golfers of all levels. PRACTICE BALLS The gift card has been an awesome addition to Christmas lists all over the World in recent years. Why not do it for the golfer too? Come on in and buy a gift card or e-key with money on it so that they can do what I want all of my students to do more of after a lesson – practice! You can pick your amount of money that goes on the e-key and they can use if for range balls at Night Hawk all year, then just add right back onto the key when it gets empty like an EZ-PASS. Help them get better and kick them out of the house to go the range and hit a few in 2016. GAME TRACKING One of the biggest trends coming to golf is game tracking. It’s a totally cool way for the stat or golf geek to really dig deep into their game. Brands like Game Golf and Arccos have created a simple and easy way to see where improvement needs to take place, and golf coaches like me are using it to help students make great strides. The golfers simply loads an app on their phone or tablet, puts a small, lightweight sensor on the end of each club, starts the program up at the beginning of the round, and that’s it! The calibration that you did prior to using it does the work during the round and it immediately knows what club you are hitting and the type of shot. Now you have instant access to the information on the app and can track your stats and progress. It’s a really neat way to improve for any golfer at any level. So those are just a few thoughts on what you can do to create a happy golfer in the household this year. It’s been a great 2015, and I can’t everyone enough for their business on the lesson tee and for taking the time to read my articles. 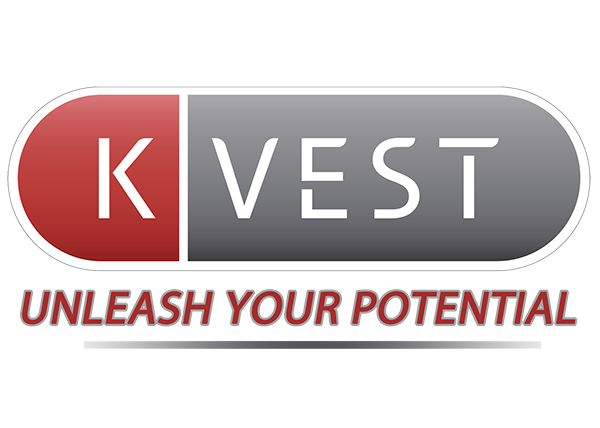 The feedback has been great and I will continue to try and bring you fresh thoughts and tips in 2016. From my family to yours, Happy Holidays and Merry Christmas.